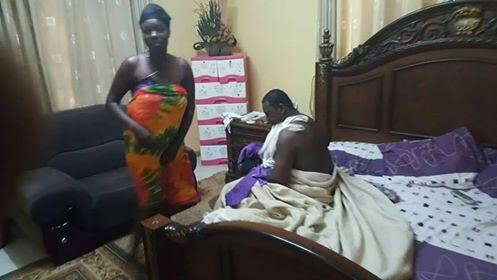 A man has caught his wife allegedly cheating with another man in a hotel room after lying that the man was her cousin. A man has been left shell-shocked after he caught his pretty and pregnant wife in a hotel room with another man. The angry man who made a video to disgrace his wife alleged that she had been showing the man off as her cousin, but unknown to him, they were lovers. After he caught he, he made a short video describing how he caught them.